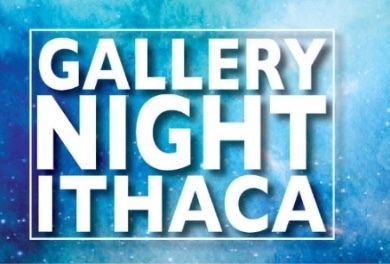 Ithaca Gallery Night is kicking off the new year by showcasing many special exhibits crafted by dozens of talented artists during this month’s walkable tour set from 5-8 p.m., Friday, Jan. 6. 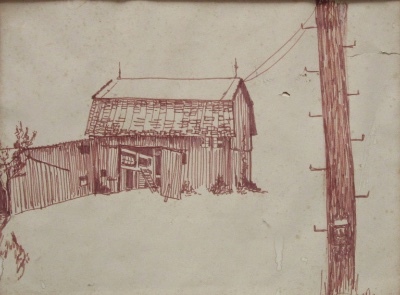 Artists are honoring Tompkins County’s Bicentennial with a two-part exhibit featuring pieces that represent Ithaca’s past and present. The creations for the first part of the display are from photographers Sheryl Sinkow, Susan Larkin and David Watkins Jr., and painters Diane Newton, Patricia Brown, Michael Sampson, Ileen Kaplan, Elizabeth Gross-Marks and Carol Ast. Illustrator Fraces Fawcett also contributed work to the display. Part two of the exhibit, which will be revealed next month, will showcase a different group of artists. This amazing exhibit will be available at State of the Art Gallery, 120 W. State St. Guests may also be whisked through time as they view You Are Here: Exploring Human Evolution, an exhibit at Tompkins County Public Library 101 E Green St. This impressive display, created collaboratively by Paleontological Research Institution, Tompkins County Public Library, Cornell University and Ithaca College, presents the clues scientists have uncovered about our evolutionary past. Discover your evolutional family tree, learn about the lives of our hominian ancestors through skulls, stone tools and other artifacts, and find out the six key trends that have made humans the most cooperative species on the planet. Also on display will be the mixed media exhibit “On Being Human” curated by Terry Plater and featuring the work of 10 local artists. In addition, view “cave painting” by local students in Youth Services. Award-winning artist David M. Geer, an oil painter from Endicott, NY, will be presenting his works, an exhibit called Seasons, at Sunny Days of Ithaca, 123. N. Cayuga. 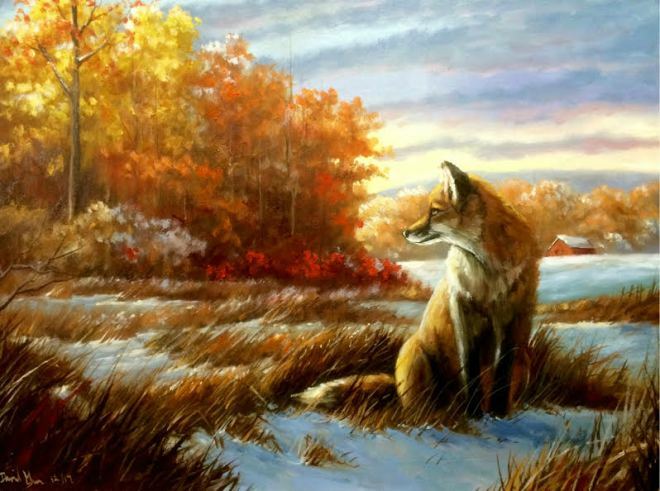 For his display, Geer focused on painting breath-taking regional scenes and wildlife. A few of his paintings of scenes from his global travels may also be sprinkled into this showing. For those who enjoy visual presentations, Hardwork artist June Silberman will demonstrate how she combines printmaking with sewing to complete stunning pieces. 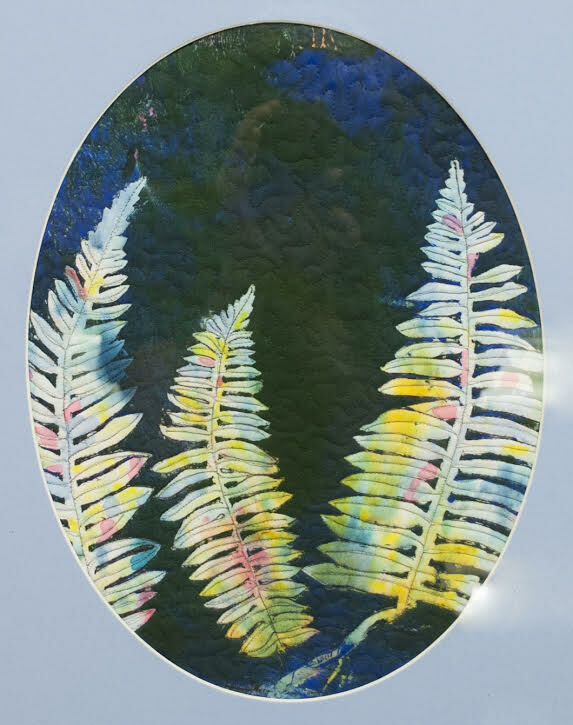 Silberman will use a gelatin plate and hand dyed fabric to create prints in-store using leaves and ferns that grow in her gardens. Snacks and refreshments will be available. Handwork is located at 102 W. State St.
To view the full listing of this month’s Gallery Night artists and their display sites, please visit http://www.gallerynightithaca.com. Handwork artist June Silberman will demonstrate how to make mixed media fiber pieces at Handwork, 102. W. State. St., during Ithaca’s Gallery Night being held from 5 to 8 p.m. on Friday, Jan. 6. Painting by David M. Geer, an award-winning artist originally from Unadilla, NY, a small town just west of the Catskills and about halfway between Binghamton and Cooperstown. Geer began drawing as soon as he could hold a pencil, and started selling his pictures to classmates for a quarter a piece in grade school. He began formal instruction in oil painting at the age of twelve and went on to a Bachelor of Arts degree at Lycoming College in Williamsport, PA. His work will be featured at Sunny Days of Ithaca during January’s Ithaca Gallery Night, Jan. 6. Artist Carol Ast’s piece “North Triphammer Rd” will be among the works on display during Gallery Night at State of the Art.